When will be Killing Fields: Hidden Truths next episode air date? Is Killing Fields: Hidden Truths renewed or cancelled? Where to countdown Killing Fields: Hidden Truths air dates? Is Killing Fields: Hidden Truths worth watching? Killing Fields: Hidden Truths is a series that airs extended enhanced episodes with extra information, deleted scenes and bonus unseen footage from the show "Killing Fields" that also airs on the Discovery Channel. The detectives find the last people who may have seen Eugenie alive; a glimpse into Rodie Sanchez and Aubrey St. Angelo's lives. Cutting edge DNA technology may be the key to seeing the face of Eugenie's killer. After receiving a tip, Aubrey sits down with a convicted felon; Rodie tries to rekindle his relationship with his son as the team continues their efforts to speak with Eugenie's ex husband. Detectives narrow their focus to a few possible leads in Eugenie Boisfontaine's homicide investigation. 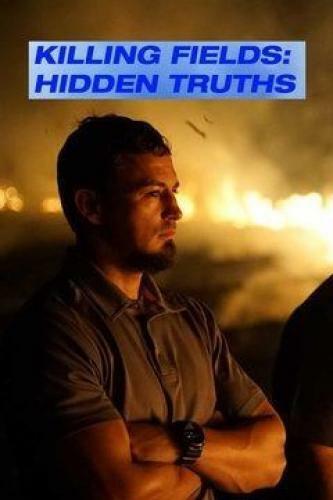 Killing Fields: Hidden Truths next episode air date provides TVMaze for you. EpisoDate.com is your TV show guide to Countdown Killing Fields: Hidden Truths Episode Air Dates and to stay in touch with Killing Fields: Hidden Truths next episode Air Date and your others favorite TV Shows. Add the shows you like to a "Watchlist" and let the site take it from there.